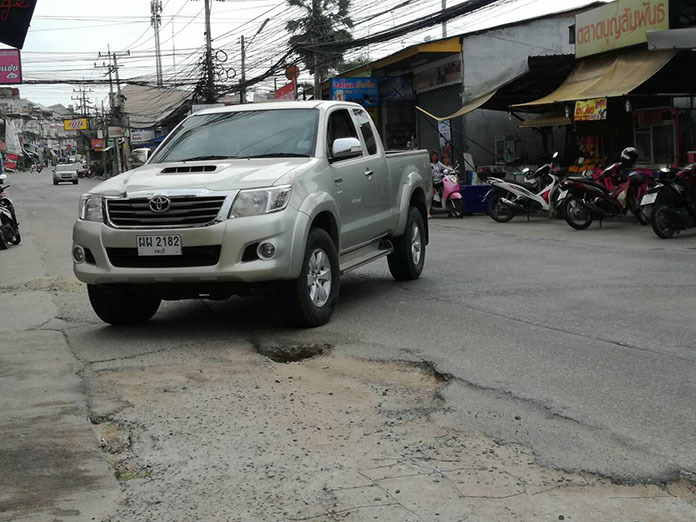 East Pattaya residents say they are fed up with shoddy street repairs and want a proper resurfacing of chronically damaged Soi Khao Noi. Locals say repeated flooding and abuse by heavy trucks has fueled an unending cycle of potholes and road damage followed by quick patch jobs by city hall. 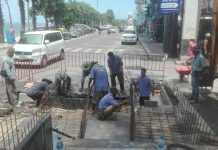 Workers continually just pour a thin layer of concrete over the holes, which quickly deteriorates, leaving the street full of death traps again. 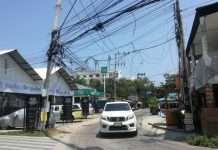 The problem is especially bad, they said, near the intersection of Soi Boonsamphan 2/2 where the concrete is thin and easily worn. Instead of doing a shoddy patch job, residents say a proper resurfacing and releveling of the street with thick layers of concrete needed.